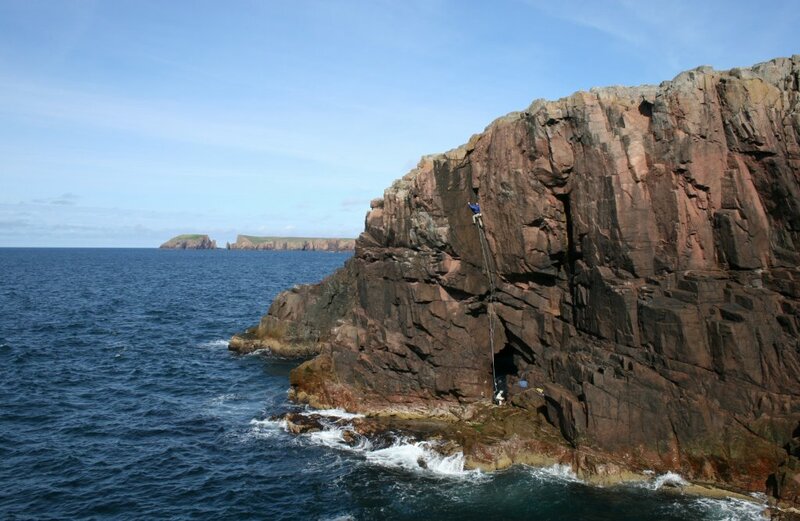 Two areas have been climbed here on the crags north of West Moulie Geo opposite Moo Stack and at Spoot-hellier the most southerly point. 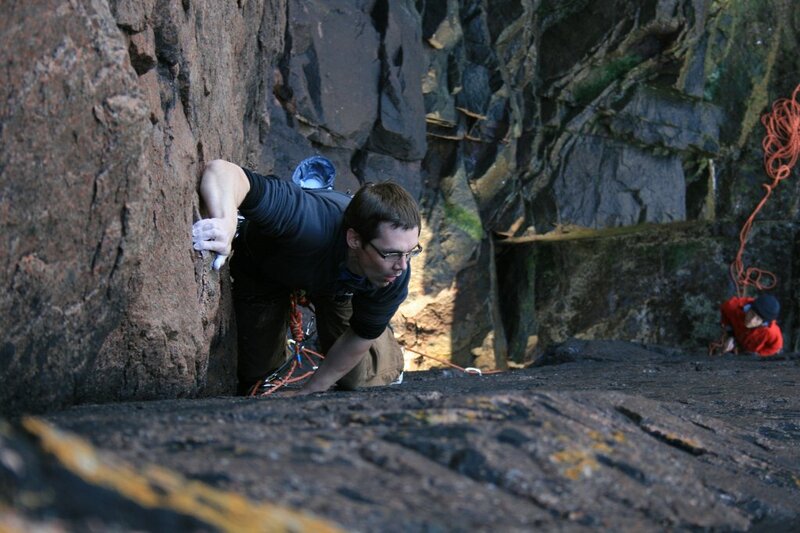 The walls are red granite and provides plenty of variety and some impeccable rock. Appearances can be deceptive when it comes to grades though, everything's a grade harder than it looks! In Skeld take a left turn to Wester Skeld. After about a mile turn left to Scarvister. Park at the turning area at the end (HU303425) by the gate before Scarvister croft and follow the track south to the crags. The track ends about 1km shy of the crags. Moo Stack can be easily seen on the approach, as the main crag sticking up. Spoot-hellier is south-east of the large West Moulie Geo. To add a photo use the uploader in the right sidebar. Make sure you include Skelda Ness in the photo description so it gets added to this page.